Transboundary water management in the Jordan River basin and the Blue Nile basin has historically been difficult. While water diplomacy surrounding the Jordan River is obstructed by decades of geopolitical conflicts between the riparians and unilateral infrastructure projects, cooperation over the Blue Nile has been hampered by conflicting views on water ownership and resource utilization for most of the 20th and 21st century. Despite several formal agreements on water allocation and resource management among different riparians, effective transboundary management is still lacking. The two infographics, produced in the context of a Water Diplomacy Training organized by the Swedish Institute of Alexandria, the University of Twente and Fanack Water, outline the past decades of advances and set-backs of water diplomacy in the two river basins and highlight the persistent differences in water use between each basin’s riparians. 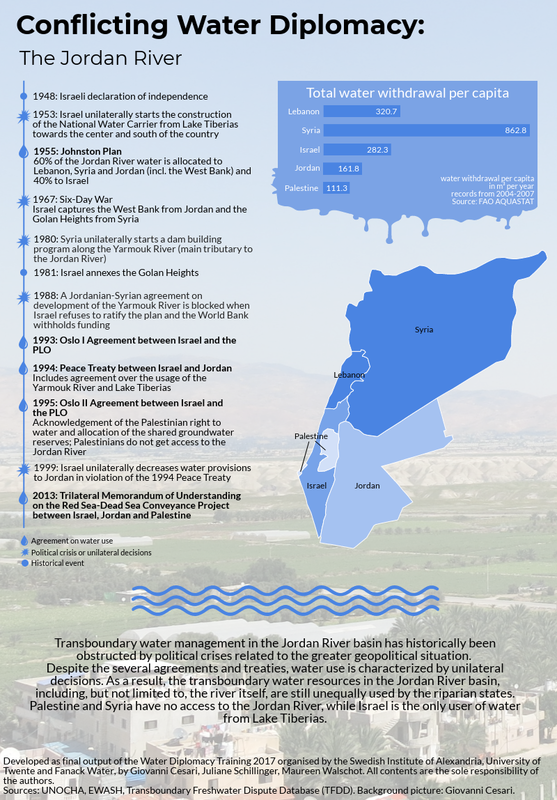 Conflicting water diplomacy: The Jordan River. 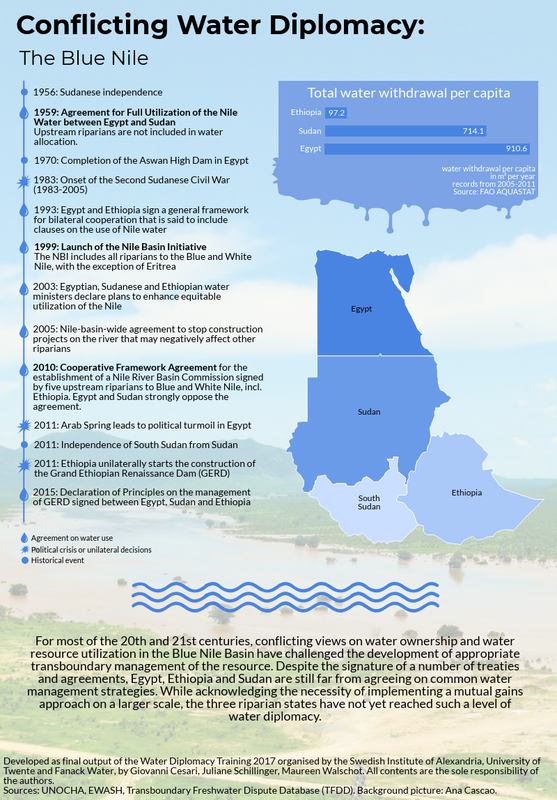 Conflicting water diplomacy: The Blue Nile.